Birds have the one power that humans cannot possess even if they try. That is to fly. Well only superman can but that’s another story altogether! Bird watching is a fascinating hobby and make for an interesting trip any where watching the habits of different birds anywhere in the world. Below is the list of birds ranging from the bizarre to the beautiful. So read on for the collection of the wild ,weird and wonderful aviary creatures. Famous for their magistical mating dance, these fascinating birds are Gods unique creation. 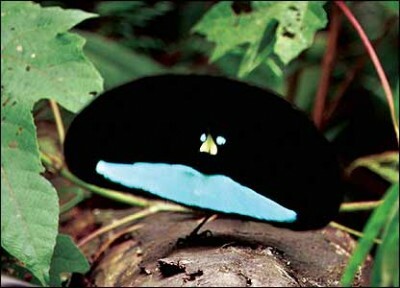 Birds of paradise are found in eastern Australia and New Guinea. This is the rarest bird in the world. Discovered during 1973 in Hawaii, it is one of the rarest birds . at the moment there are only 3 known Po’ouli birds in the world. The program for breeding them is an ongoing process. But they are on the verge of extinction. You can find these birds in Australia as well as in New Guinea. While these birds look like a cross between an ostrich and a turkey, they are extremely beautiful to look at. However, if you ever corner a cassowary or get too close to it, be ready for an attack. These birds are truly aggressive and angry birds! The American Kestrel is part of the small falcon’s family and it is the most accurate example of how the majestic stature of a predator bird can be also amazingly looking because of its beautiful blue feathers. Blakiston fish owl is one of the largest owls in the world. It weighs 4.5 kgs . It is found in the Australia and New Zealand area. It generally feeds on fish but also on small mammals. If you’ve ever been to the zoo, you have probably seen a condor. The Andean Condor is the world’s largest bird. It has a wing span of over 10 feet and weighs over 40lbs. it has the largest wingspan of any land bird. It is found in South America. Unlike other birds of prey the male is larger than the female. It is a tiny bird found in China , Tibet, Myanmar and Bhutan .it is approximately 11.5 to 12 cm long and feeds on small flying insects. The Scarlet Macaw is the most spectacular species of parrot as colors are concerned. The national symbol of Honduras, this large parrot is perhaps the one bird companion any home in the world would like to have. Looks like parrots are gorgeous birds . The Painted Bunting is for sure the most beautifully painted bird in North America. Still only the male is carrying this amazing display of colors that it seems to be his key ingredient in mating rituals. It is found in North America. It was a popular cage bird. But now having one in caged possession is illegal. The list would not be complete without the grandest and most beautiful bird in the world. Maybe the most notorious of the bird world, the peacock is legendary for its amazing feathers he uses in the mating rituals. Being the symbolic pet of Greek Goddess Hera, the bird is exclusively beautiful. Maybe the most notorious of the bird world, the peacock is legendary for its amazing feathers he uses.